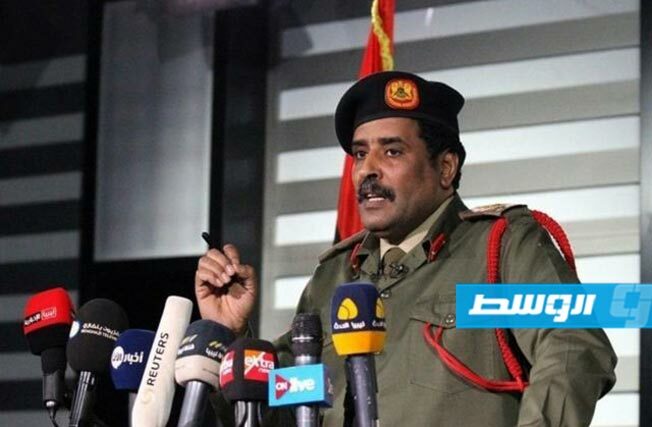 Libyan army spokesman: 5 dead in the ranks of our forces during the battle to seize Tripoli. 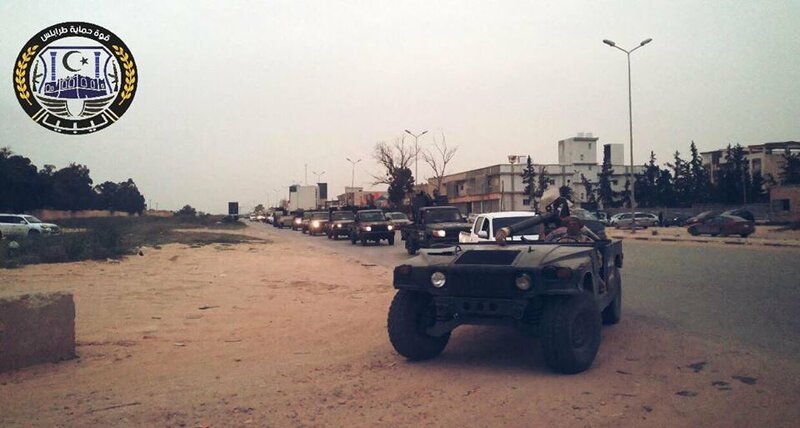 Libyan army spokesman: Our forces took control of Aziziyah and headed to the capital Tripoli. 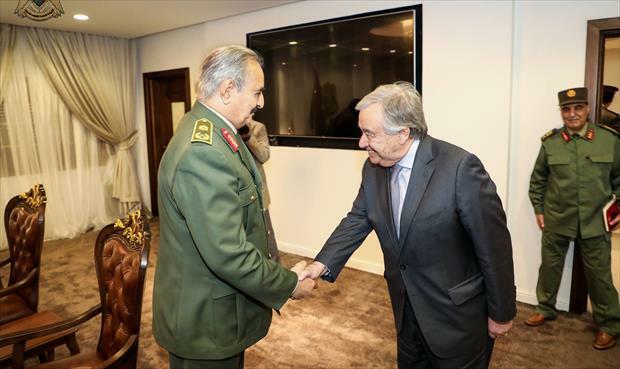 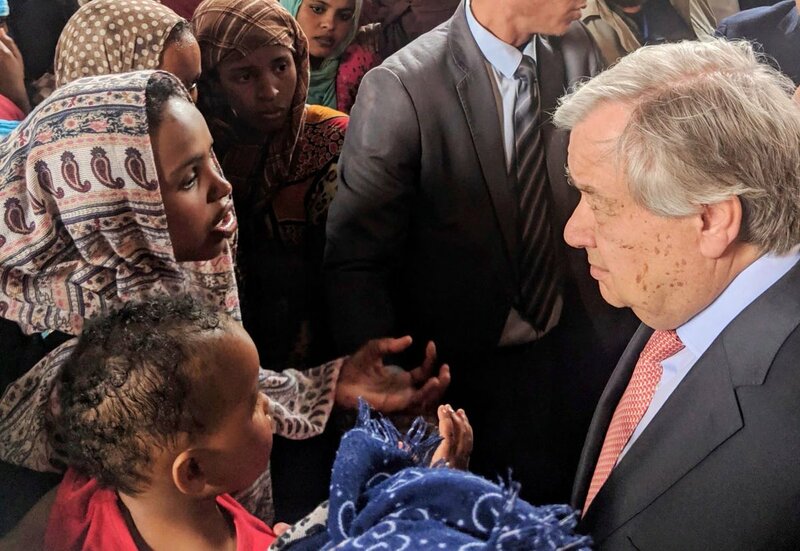 Pictures: Marshal Khalifa Haftar recieves U.N. Secretary-General Antonio Guterres and his accompanying delegation in Benghazi. 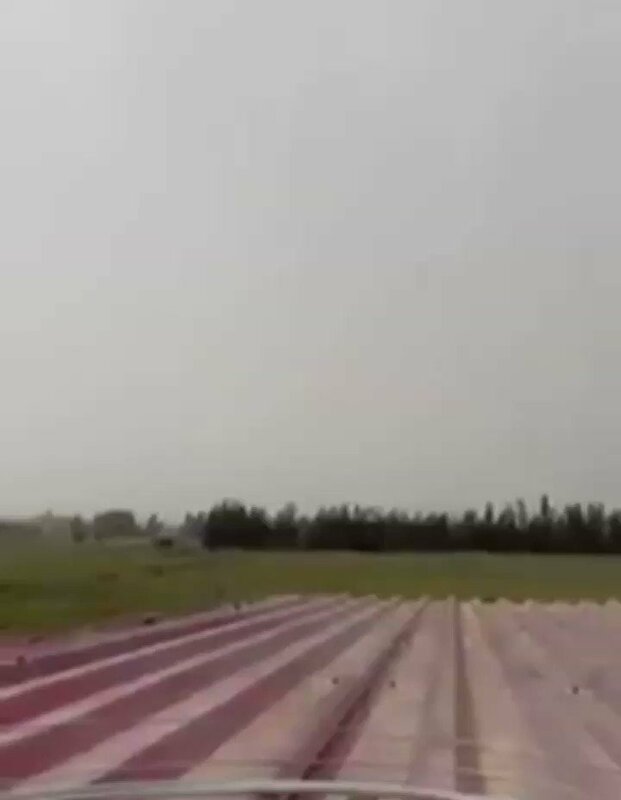 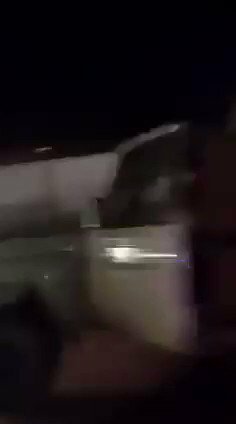 GNA warplanes now fly heavily over the areas of Wadi Al-Rabee` and Al-Khamis. 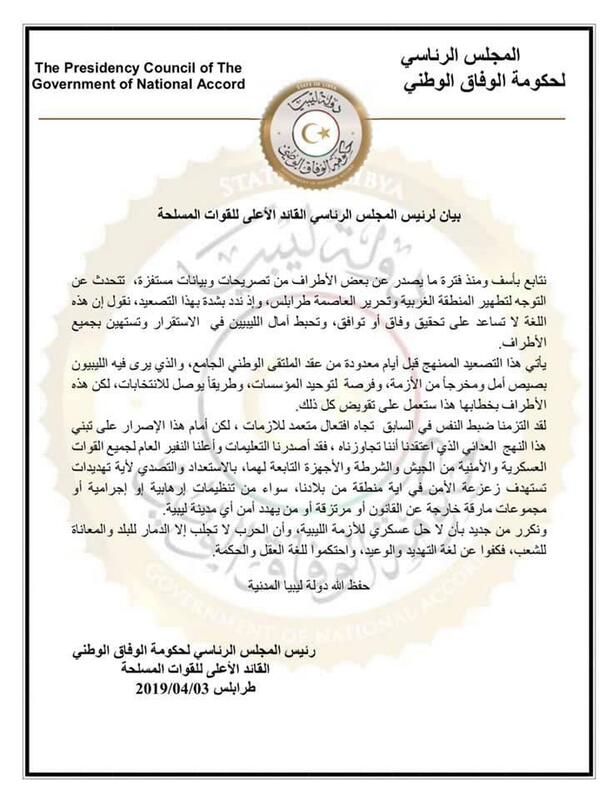 Sharara oilfield and Zawiya port working normally according to field engineer. 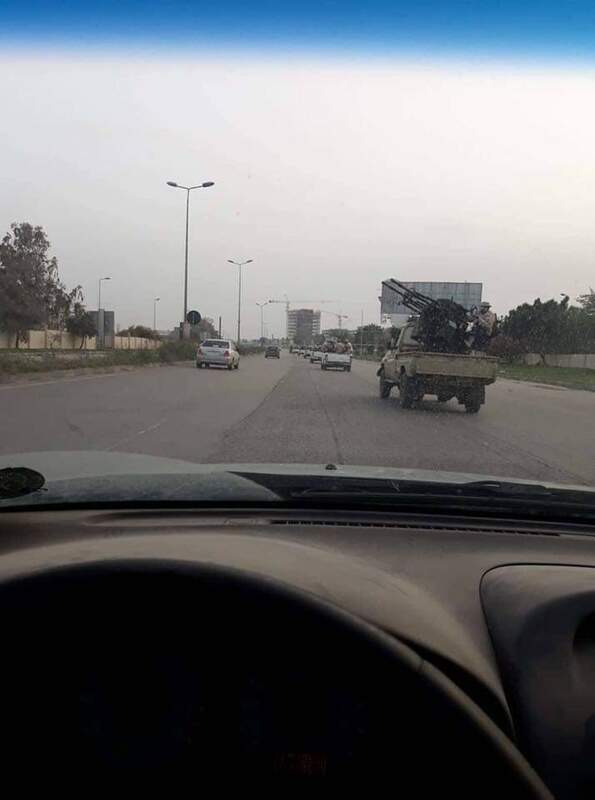 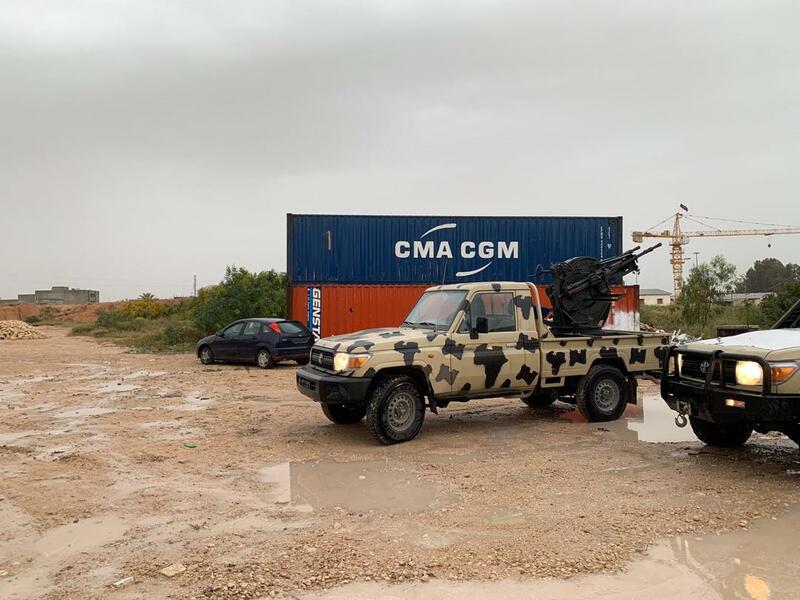 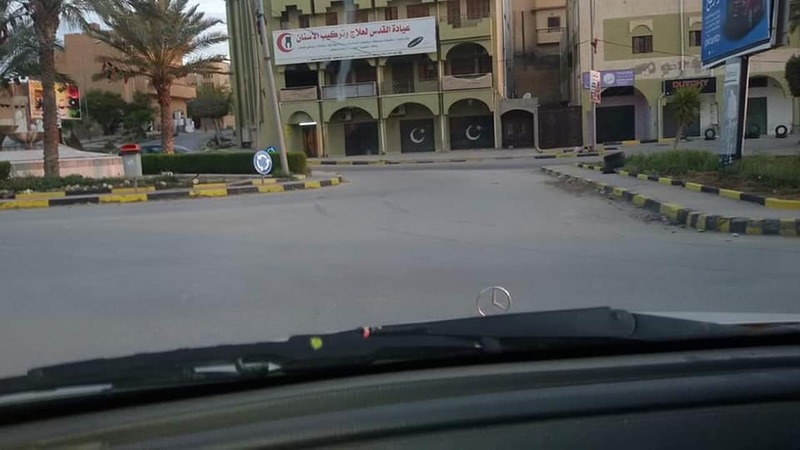 Libyan army forces announced control of the areas of Qasr Ben Ghashir, Wadi al-Rabie and Suq Al Khamis in the capital Tripoli. 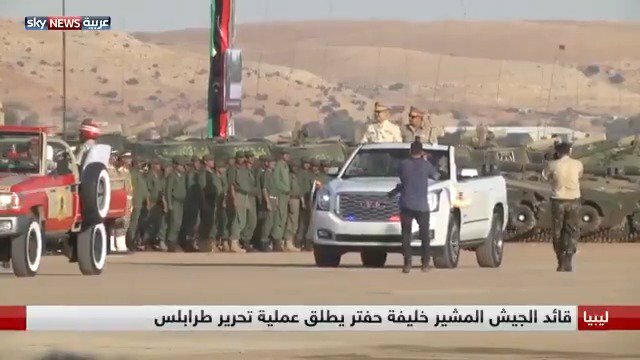 The 9th Brigade, Terhouna, pledges allegiance to the General Command of the Libyan Army and its readiness to carry out its orders. 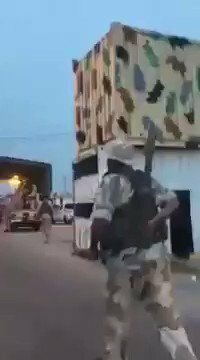 Clashes between LNA and GNA in Suq al-Khemis. 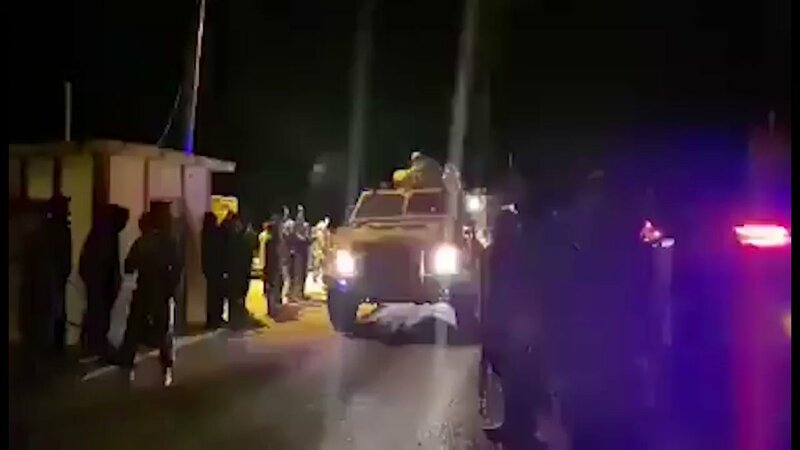 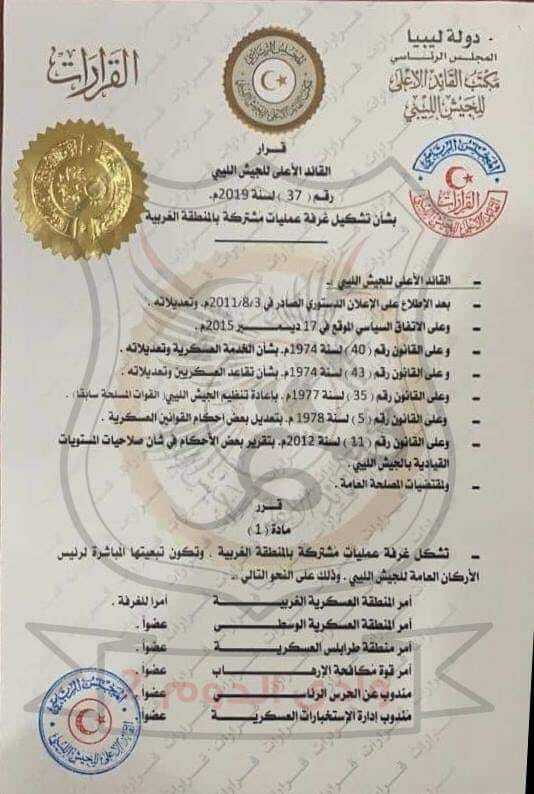 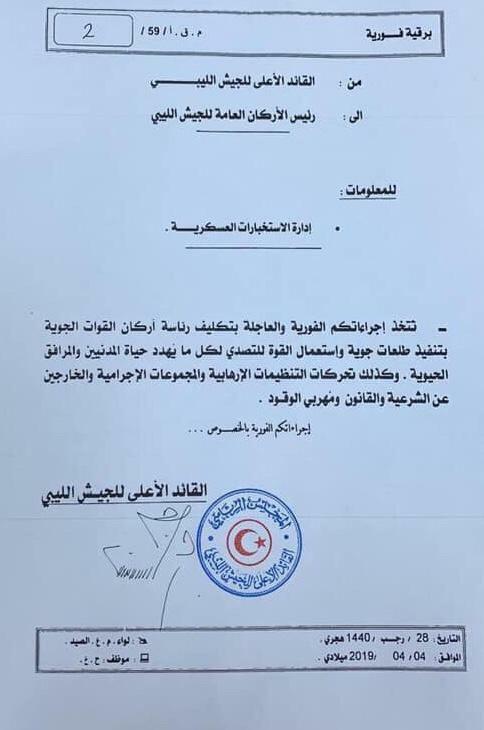 Gharian Military Council launches a military operation to restore the city from Haftar forces. 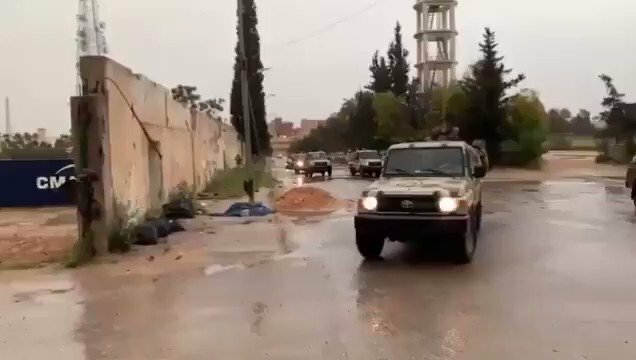 2nd LNA member killed. 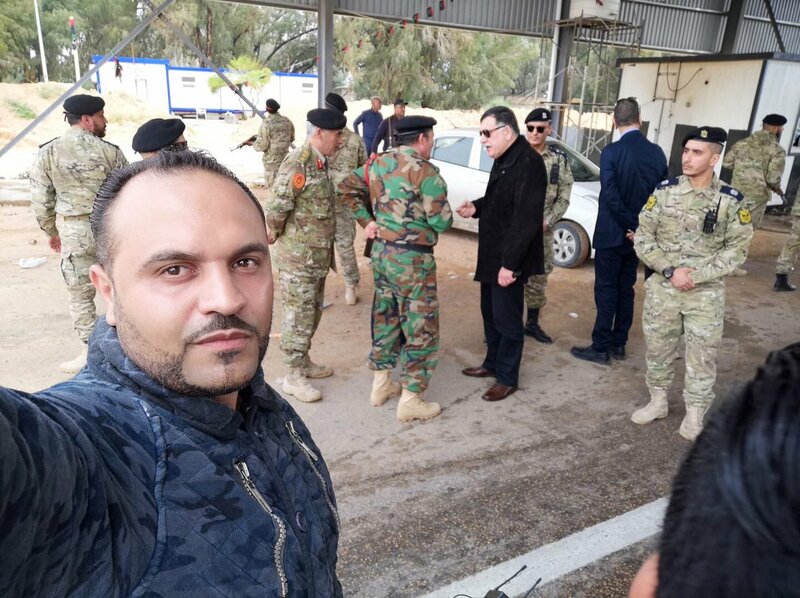 He died in el-Aziziah. 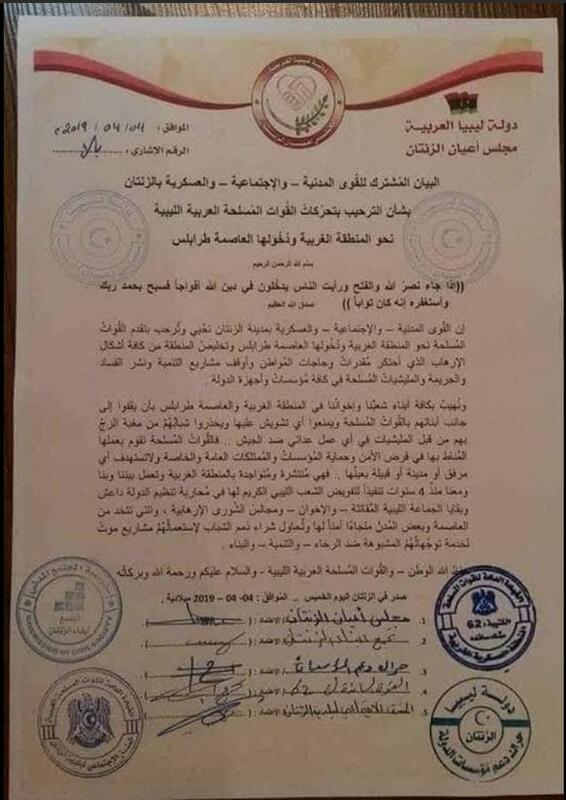 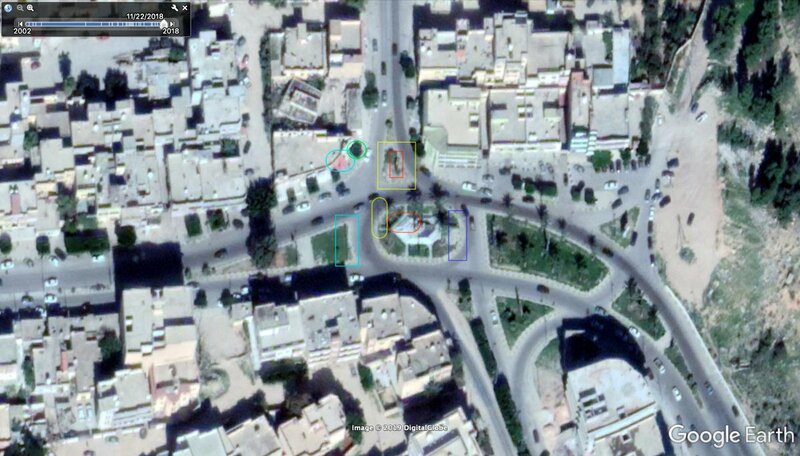 The Libyan army controls the entire city of Garyian. 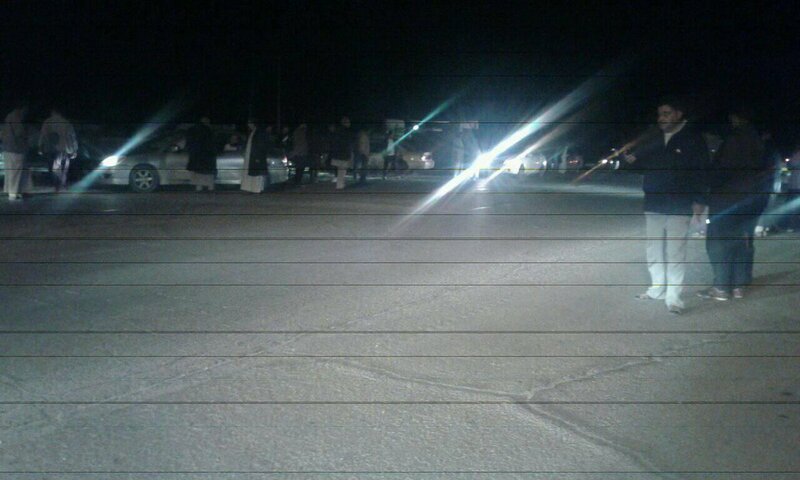 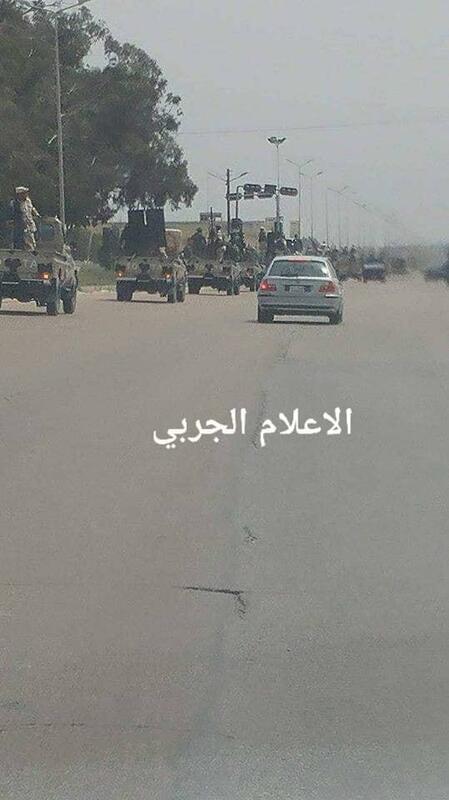 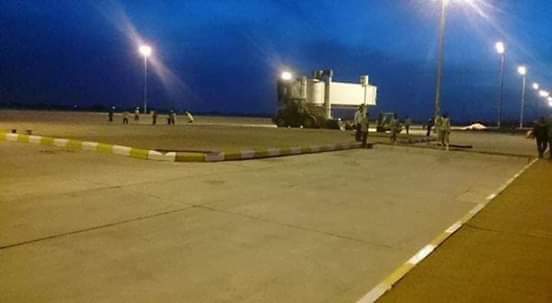 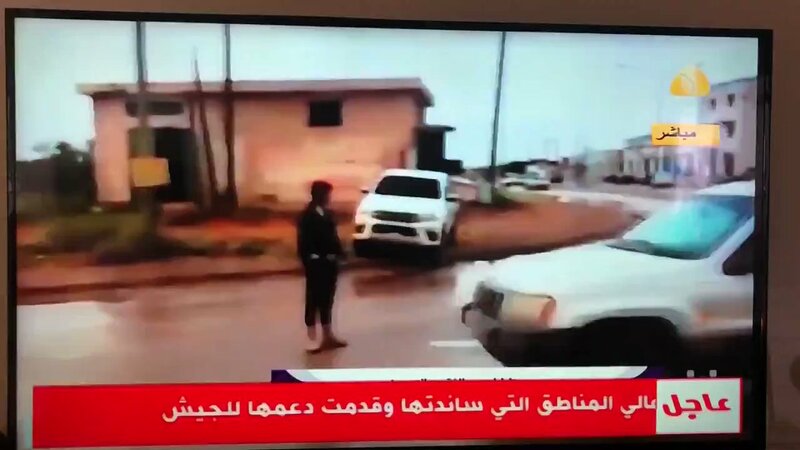 All those LNA soldiers arrested yesterday have been taken to al-Zawiyah. 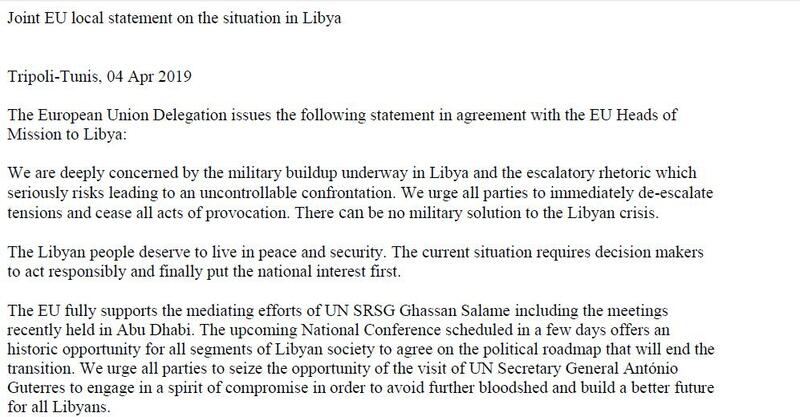 EU calls for halt to Libya fighting.